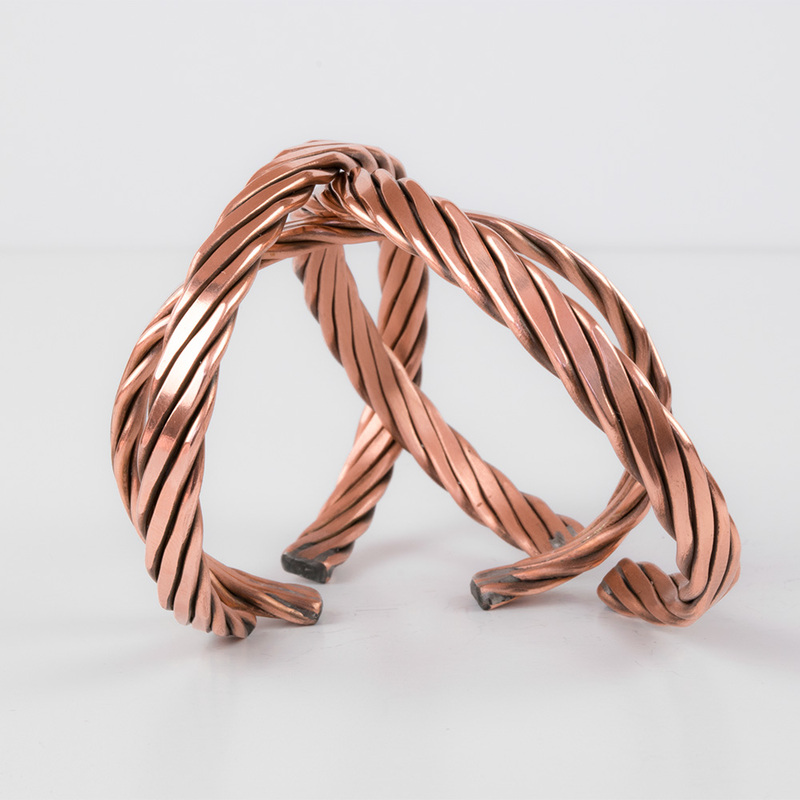 100% handcrafted in our family workshop in Ravina, Italy, our twisted copper cuff bracelet is available in 3 sizes and adjustable to a comfortable fit. 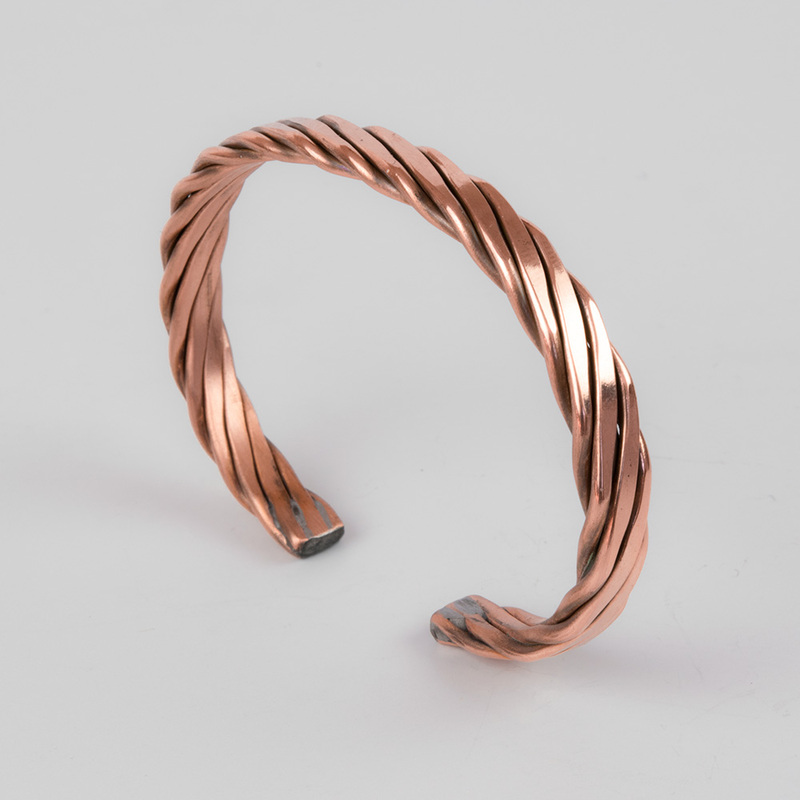 We only use 100% pure copper and forge the bracelets from 3 individual copper rods, twist them into a tight structure, hand hammer them with a wooden hammer to increase rigidity, polish them, shape them into form and secure the rods by melting the ends with 100% pure tin over a fire. 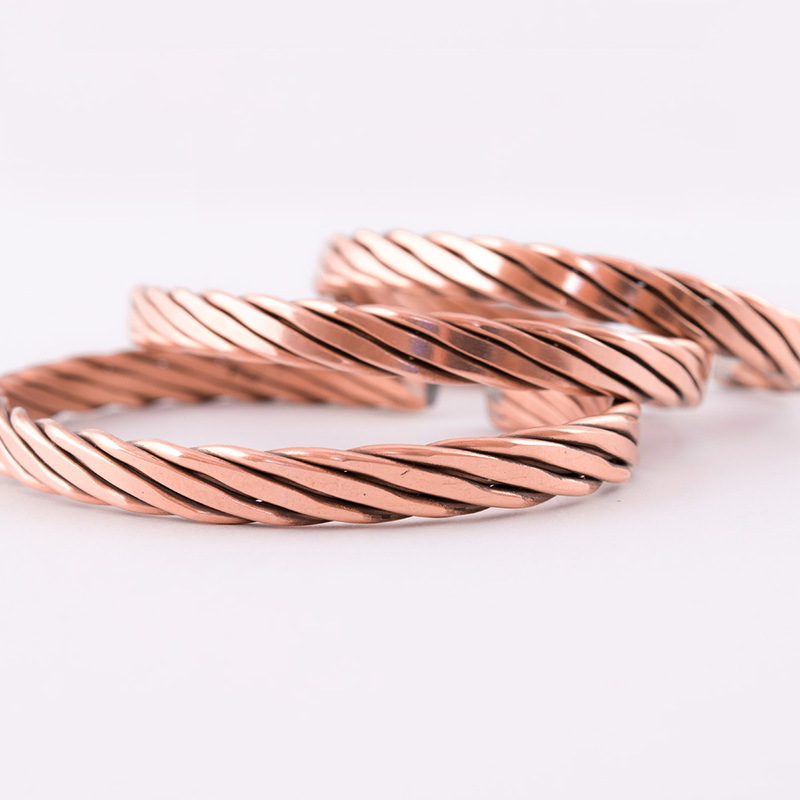 It would actually be easier for us simply make the bracelets round. 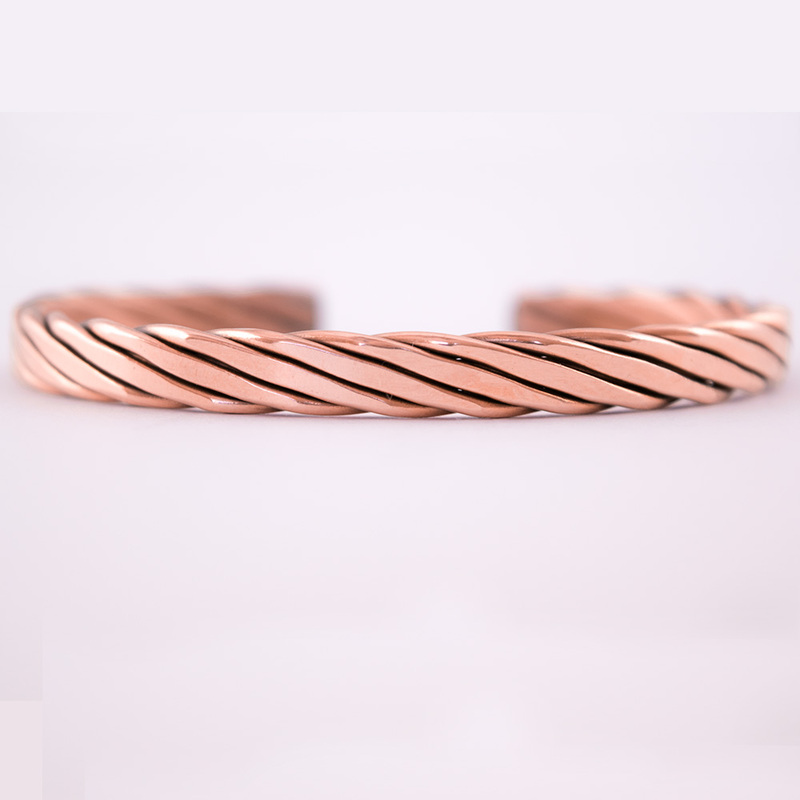 However, since our wrists are not round but rather oval shaped, we designed our copper cuff bracelets to conform more natural to the wrist thus providing a more comfortable and pleasant fit. 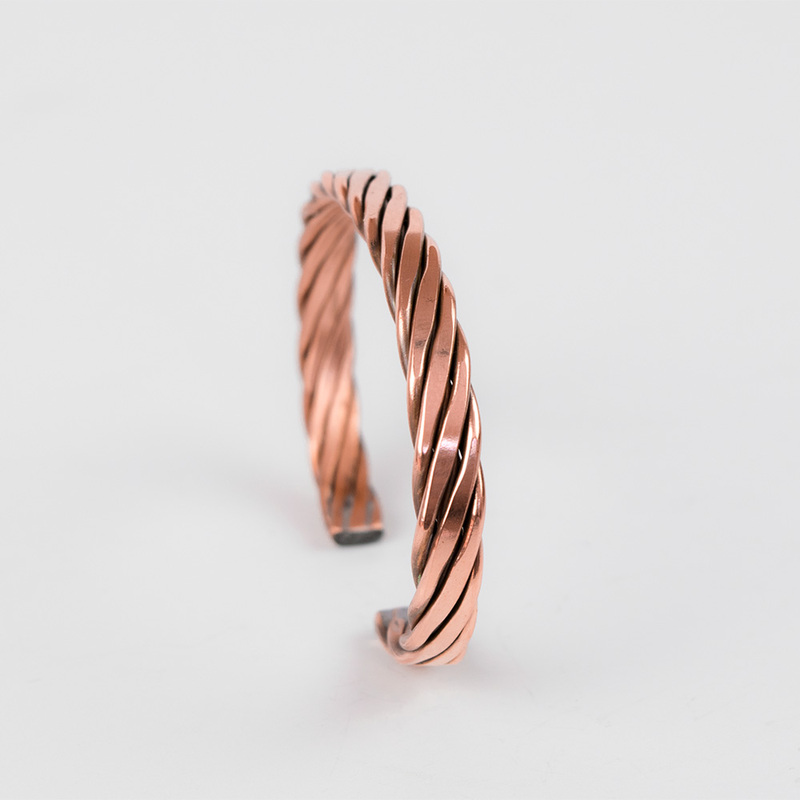 Since we are using 100% pure copper, our bracelets will not rust and will develop a beautiful patina over time. A true indication of the purity of the material that can be handed down to many generations. 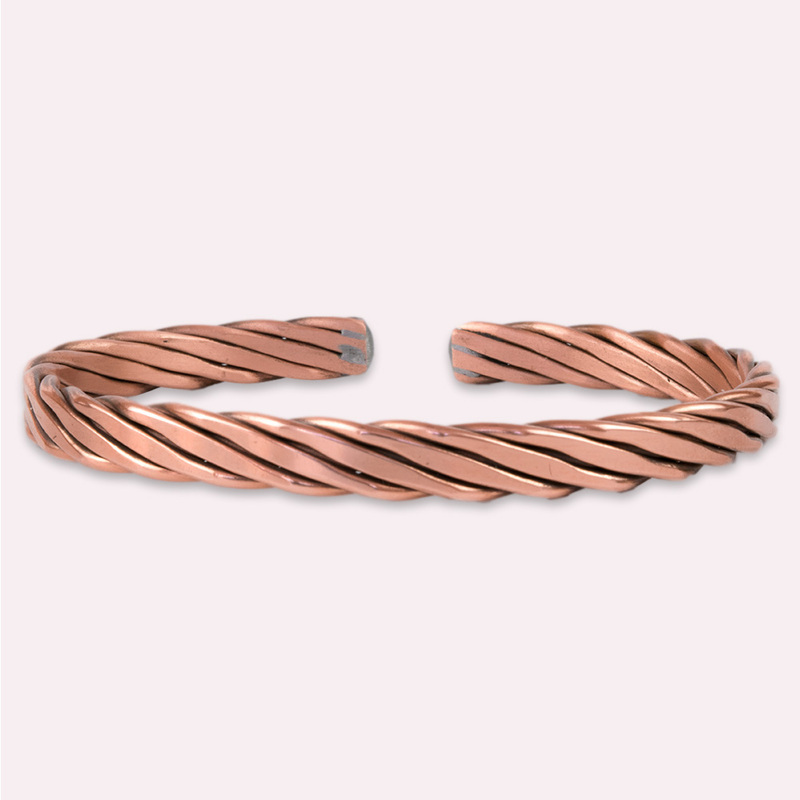 Although modern science has not provided specific evidence of the health benefits of copper jewelry, they have been worn by people since hundreds of years. Many believe that it might play a vital role in keeping their immune system strong and being beneficial for their health. Designed by Pierino Navarini and 100% handmade in our workshop in Ravina, Italy.